Isemene is the youngest daughter of Oedipus. Her name means “to linger towards.” This mask exhibits a passive expressive quality that makes this character half mask into a follower who is easily dominated by others. 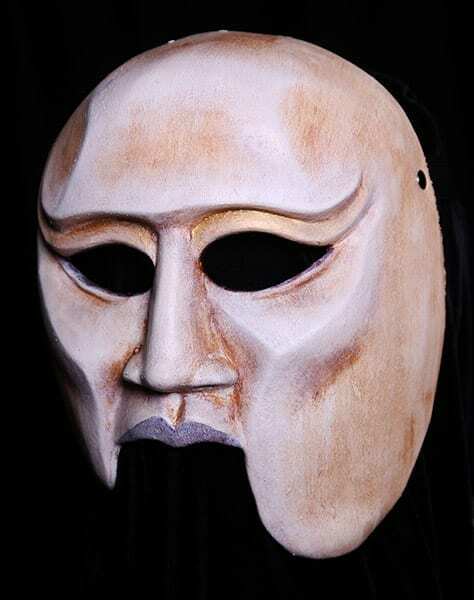 This Greek theater mask is durable and can be used for both professional and classroom use. It is made out of neoprene and held to the head with an adjustable strap.